Version 5 of the Web Design System was applied overnight. This update included some small, but significant markup changes. 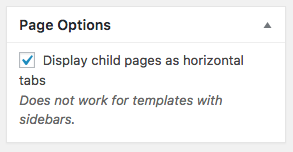 It should just work, but if you notice any strange layout problems on your site, let us know via the helpdesk. Embedding a Twitter feed into a sidebar on your site is a relatively straightforward process, but there are few steps involved. Did you know that LaTeX is supported out of the box on our WordPress installation? So, assuming you know your syntax, you can just start using it. For more help, refer to the edublogs guide. The Appearance menu in your Dashboard. 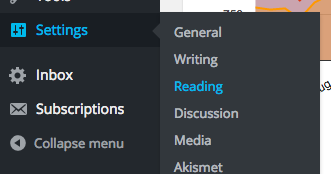 In the Appearance menu of your Dashboard, there is a menu item to add ‘Footer Content’. If you have tried it with the Design System Theme, you’ll have been disappointed. The Footer Content doesn’t work well with the Design System, because it gets inserted in the wrong place. It’s really a more general WordPress option for inserting special scripts in the page – not so useful for visible content. For that, you should use the Footer Sidebar, which you’ll find on the Widgets screen. 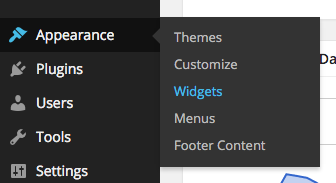 In the Widgets page, we’ve added a new sidebar area, which actually appears at the foot of the page. 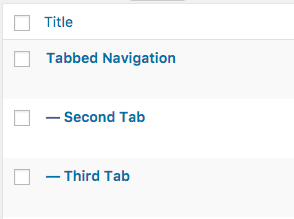 You can drag new widgets into this area , and they will automatically display on every page in your site. Content inserted in this area will be automatically wrapped in a special div which is part of the Design System, so only certain content will work in this area, so we strongly encourage you to follow a couple of guidelines. One of the simplest options for this is the Links widget. You can manage the content of the widget directly from the Dashboard. Keep it to 4 links maximum. If you want a bit more control, use the Text widget. You provide the HTML content for this widget, so as long as you know what you’re doing, it will give you complete flexibility. This evening (7pm.) there will be another theme release (v1.1.1) to address a few minor bugs. A problem with inline images with wrap around text floating off the page. 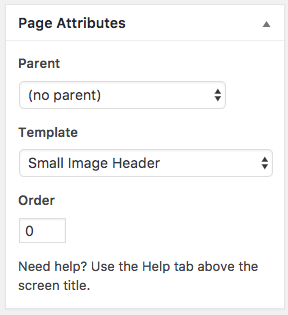 Cropping while adding new header images. Spacing inconsistencies between post lists in different situations. There should be no impact on users or editors.